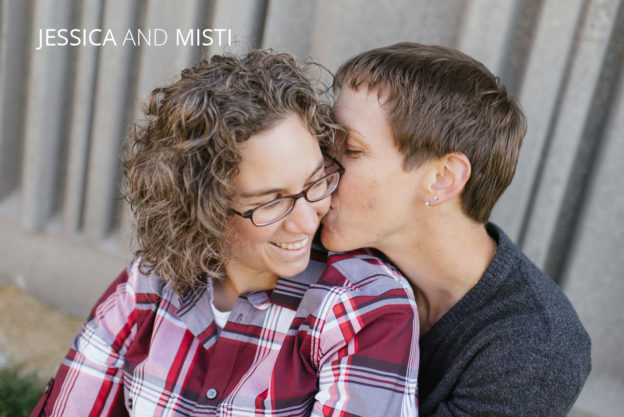 Jessica and Misti are so laid back, down-to-earth and quick to joke with each-other- From our very first time meeting, I knew I was in like company. 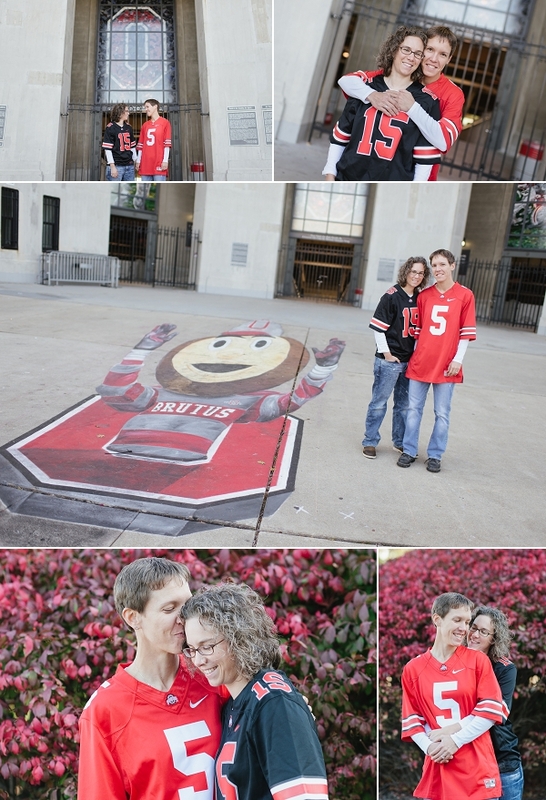 Jessica is an avid OSU fan, so we naturally had their engagement shoot on a beautiful fall day last year on campus. It was a Sunday, so everything had already been cleaned up after tailgating and partying, but there was a really cool chalk drawing still right in front of the Stadium. 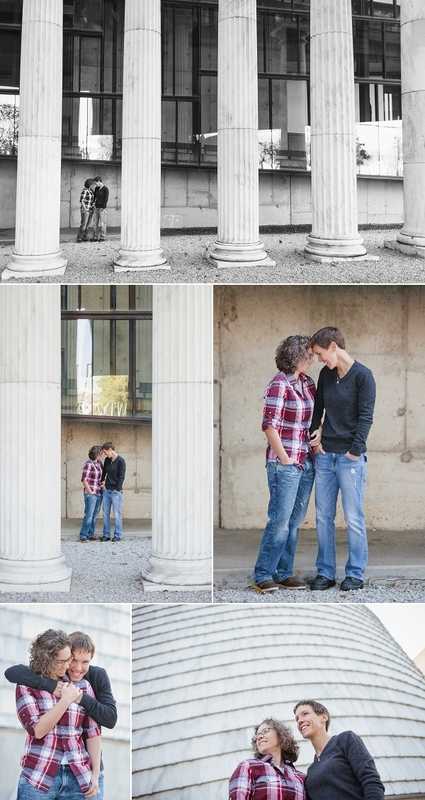 It was a forced perspective drawing, so when you lined up with it just right, it seemed to pop out at you. Because it was fall, all of the bushes were bright red in front of the stadium, not a coincidence I’m sure! All the Buckeye trees were as golden as the afternoon sun. Even though it was the weekend, campus was still somewhat alive, which brought a fun energy to the session. 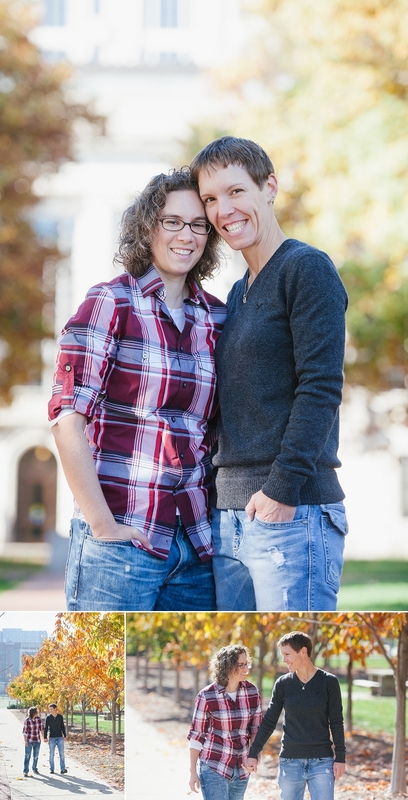 Fall in Ohio is simply the best- I need to get more timely with these blog posts, as it’s totally spring now. I was just so energized by spending time with these two. They are so fun…and I think it’s pretty amazing they even laughed at my stupid jokes. Were they just being nice?